Apparently, it never lost it in the first place. In our ongoing quest to bring you information on the best real estate markets in the country, we will be spotlighting New Orleans. New Orleans has had its fair share of disasters in recent years, but fared quite well during the real estate crash of 2008. So what has happened since???? While not quite back to pre-2007 recession levels, real estate values across the country are showing their strength and making a noticeable comeback. At its worst, some of the nation’s hardest hit real estate markets lost more than fifty percent of their peak housing values in just a matter of months. Places like Florida, Nevada, Arizona, and most of Southern California suffered the worst, while other real estate markets, buffered by strong local economies like Wilmington NC, Bentonville Arkansas (home of WalMart), Huntsville Alabama (a national technology hub), Tri-Cities Washington (a national energy and technology hub), Cohasset MA, Baton Rouge Louisiana, and a number of smaller areas such as Granbury Tx, saw very few losses at all. Even within some of the states that were hit hard – some cities seemed to be immune such as Panama City Beaches condo market. To assist in bolstering its economy, a majority of New Orleans banks refrained from issuing many of the risky loans that contributed to the real estate housing boom and subsequent burst in 2007. Following Katrina, many industries and businesses invested heavily in New Orleans re-construction, rebuilding and reinforcing levees, as well as rebuilding and expanding local oil refineries and many of the city’s small businesses. Also, as the number one crude oil producer in the nation, and with New Orleans being the energy, shipping, and transportation hub for the state, it’s no surprise to learn that New Orleans is on the list of the top recession-proof cities in the country. By the time the Great Recession hit, New Orleans was already mid-stream up its own river towards recovery. So Hows The Real Estate Market? 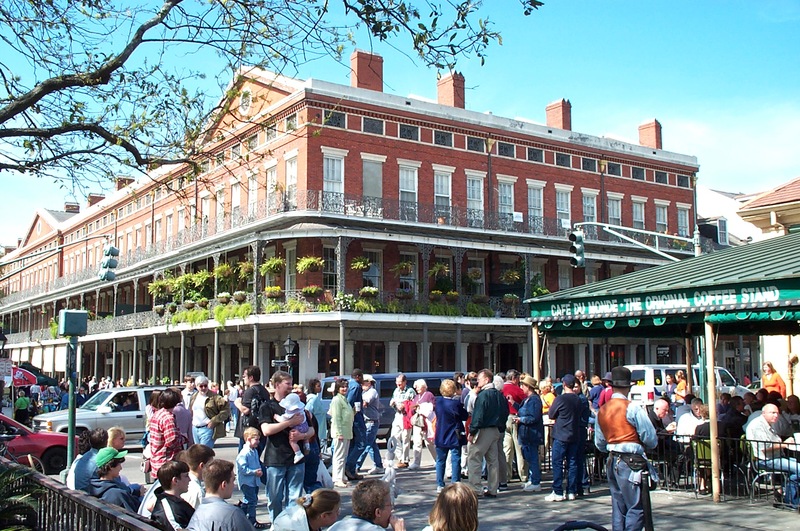 Is New Orleans a good place to invest for real estate? Some experts say “Yes!” Boasting one of the most diverse real estate markets in the entire nation, New Orleans and its surrounding communities have way more to offer than initially meets the eye. Sure, you can find many traditional homes for sale in the greater New Orleans area, too. But why bother with traditional when extraordinary is on the menu. Known worldwide as a “Sportsman’s Paradise”, Louisiana has even adopted the phrase as their state motto. Where else can you hunt for alligators in the morning, go boating in Lake Pontchartrain in the mid-day noon sun, seine muddy creeks for for Crawfish in the afternoon, and go frog gigging under the flickering glow of lightning bugs in the evening? There aren’t many places where you can buy a cabin in the swamp, a stilt-house in the bayou, or a floating houseboat on one of Lake Pontchartrain’s many canals or river tributaries. Luxury lakefront homes, riverfront real estate, and floating houseboats on just about every type of water body imaginable are only the tip of the iceberg when it comes to homes for sale in the New Orleans area. Don’t forget about the Northshore of New Orleans, just on the North side of Lake Pontchartrain. Homes for sale in Covington and Mandeville have seen tremendous growth in both residential real estate as well as commercial. People have flocked to the Northshore because of the new construction, great schools and low crime. Areas such as Jahncke Street in Covington sports live oak trees that hang over the streets reminiscent of St. Charles Ave in New Orleans. The Covington real estate market has been under priced for years and somewhat overshadowed by Mandeville, but is coming back strong.